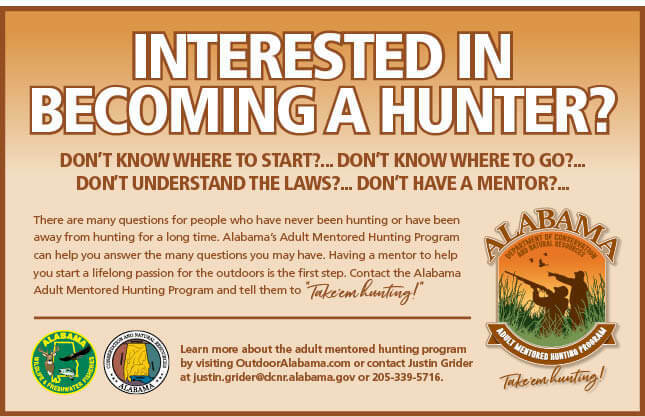 I grew up in the middle of the Alabama Black Belt, where the great outdoors is the central focus of our culture. No place offers such an abundance of outdoors opportunities as Alabama, where you can hunt squirrels in the foothills of the Appalachian Mountains one day and, the next day, reel in a nice bass from one of our bountiful lakes. My job as Governor is to ensure that our outdoors traditions continue as well as promoting economic growth so that all Alabamians prosper. The outdoors is a large economic driver in our state. More than 1.7 million people enjoy our diversity of outdoors recreation, which translates to an annual economic impact for outdoor-related activity in Alabama of almost $3 billion. This year Alabama received more than $25 million from the federal government as our state’s distribution from the Pittman-Robertson Wildlife Restoration and Dingell-Johnson Sport Fish Restoration acts. Those funds are derived through excise taxes on outdoors-related products from firearms and ammo to fishing tackle and certain boat engines. Our state’s distribution from those funds is directly tied to the number of hunting and fishing licenses sold through the Department of Conservation and Natural Resources. 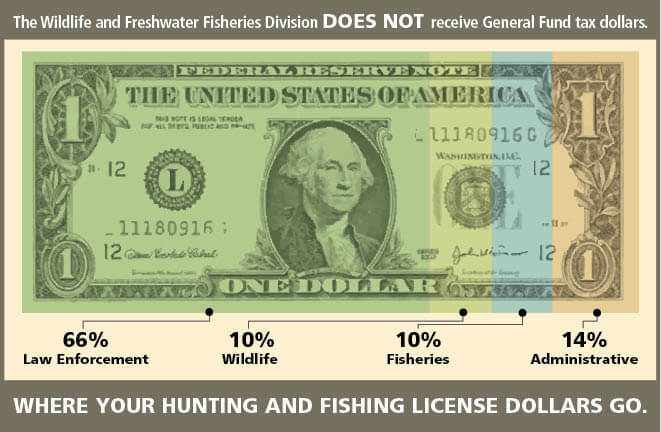 License sales and matching federal funds determine the annual budgets for the Wildlife and Freshwater Fisheries and Marine Resources Divisions. 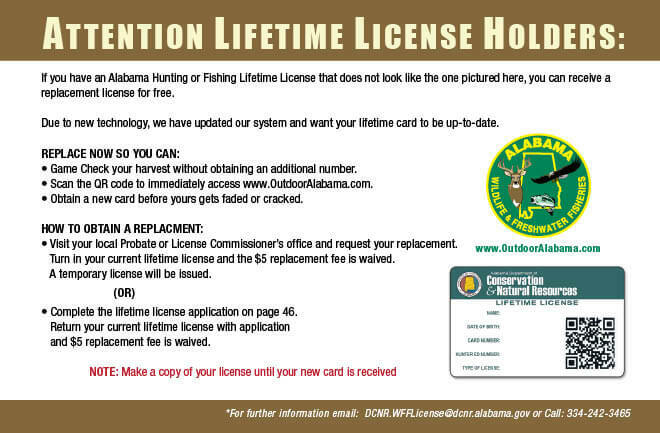 Whether you plan to hunt or fish this year, I ask you to consider buying a hunting or fishing license to contribute to the efforts to make sure future generations enjoy Alabama’s outdoors. Alabama is dear to my heart. No better place exists to raise a family, start a business and to enjoy life. Sweet Home Alabama is not just a song; it’s our legacy.